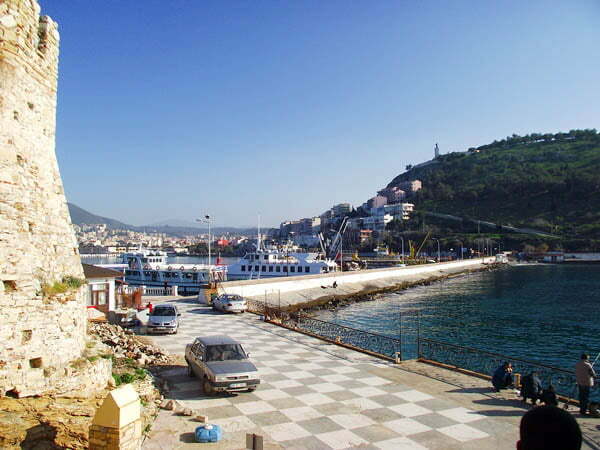 I have been rather critical of Kusadasi in the past. Yet following developments in the town; I’m warming up to it and now highly admired it for the famous international reputation it has built up. 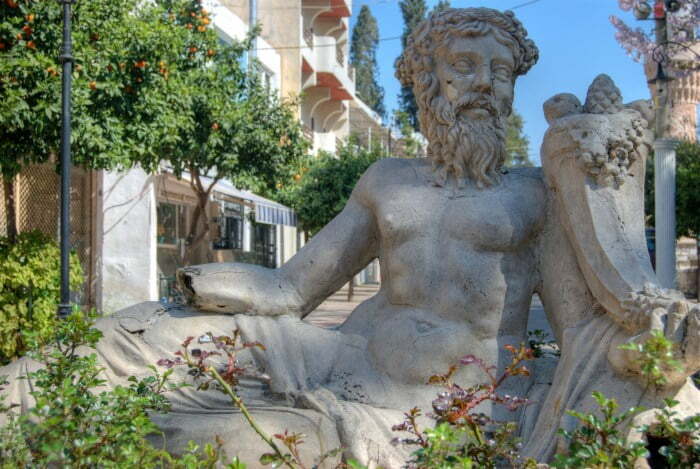 It is also extremely hard to ignore the fact that there are plently of unique things to do in Kusadasi. Indeed, as a major cruising port, cruises from around the world dock in yearly for passengers to see the nearby historic ruins of Ephesus. For many, the ruins, bustling town, and surrounding districts are the only glimpse into Turkey they will have. On my last visit, major roadworks made it easier to drive and get around, therefore calming my fear of erratic Turkish drivers. Streets were immaculately clean, and even the eyesore empty skyscraper buildings on the big hill at the back of the town were not as monstrous as they had previously appeared. Regardless of whether cruise ships come in, Kusadasi has a thriving community and is a popular holiday resort for English and Irish holidaymakers. So an article on this blog about activities and places to go seems apt. Cruise ships generally book excursions and trips for their passengers but situated near the central port area of Kusadasi, the old caravansary dating from 1618 maintains much of its original ambiance despite intense modernization in the 60’s. Used as a Turkish night venue and also a highly priced hotel, a little bit of imagination and background reading showcases what used to be overnight accommodation for travelling salesmen during the Ottoman Empire. The port area and Scala Nuova Shopping Center boast of upmarket shops like Starbucks, Diesel, and Swatch. From here, a spectacular view of the Aegean Sea gathers, even more, momentum when Ocean Cruises dock in. After a refreshing hour or two of people watching, come out of the port, go straight ahead to find the bazaar on the right-hand side. Alternatively, a wide pathway slightly to the left of the caravansary leads to more shopping areas in the heart of the town. Here prices generally are lower but still bargain for big purchases such as carpets, leather, or gold. If shopping isn’t your idea of fun, turn right when coming out of the port area and follow the road round. 10-minutes later, the harbour area enters into view. From here, boats depart daily for lazy day cruises around the coastline. Further down the promenade, is Pigeon Island, a domineering landmark jutting out of the mainland. Providing spectacular views, it is an ideal place for chilling out and relaxing. Used by the Ottomans as a strategic defence point, little remains of the old Byzantine castle yet the gardens are extremely well maintained and ideal for a romantic stroll. Ephesus is the only reason why Kusadasi is a popular cruise ship port, and once you see it for yourself, it is easy to understand why. 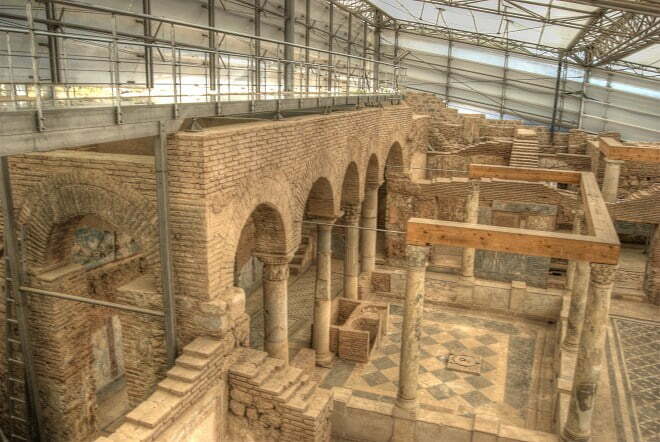 Matching up to standards of famous Greco-Roman ruins in countries like Greece and Italy, the ancient ruins of Ephesus are one of the top visited attractions in Turkey. Many travel guidebooks and websites mainly ignore Selcuk town, yet I loved exploring its local landmarks. As well as the old aqueduct running through the centre, Saint Johns Basilica with its former baptism pool, church, and suspected tomb takes just an hour to explore. Just 5 minutes’ walk from there, Isa Bey Cami with excellent architecture dating from the Seljuk era of Turkey’s historical timeline is a beautiful mosque to visit. On the outskirts, Artemis Temple, one of the seven wonders of the ancient world, sits in a small marshy field. Yet sadly, upon seeing what is left, you may be disappointed. Just one column is pathetically standing in among scattered carved stones, displaying little of its former glory. High in the green hills of Seljuk, a small village, supposedly started by freed slaves from Ephesus has earned itself an international reputation for its homemade fruity wines. I personally think they are over-rated and taste like undiluted cordial juice but the village itself, with old Greek houses, an abandoned church, and spectacular landscape views is still enjoyable. It is a long winding road to get up there, but once you have arrived, go wine tasting, explore cobbled streets and for good luck, throw a coin in the fountain of Saint Mary’s Church before settling down for a hearty Turkish style lunch in a traditional restaurant. Lastly, also in the hills of Selcuk, a small, unobtrusive stone house is a pilgrimage destination for Catholics and Muslims all over the world. The tranquil gardens and ambiance of the Virgin Mary’s house, run by monks and nuns leaves a lasting effect, even on non-religious people. Suspected to be where she spent her last days, urban legends say three water springs bring an abundance of luck for health, wealth or fertility. Church services also take place on certain days. As two of the most popular water parks in Turkey, visitors but especially families love slides, wave pools, splash pads, flume tunnels, fountains, and everything else splashy. If you are ok with animals in captivity, Dolphin Park of Adaland schedules shows and photo opportunities to swim with the resident dolphins. Aqua Fantasy is my favourite though because their giant wave pool, Adventure River, relative calm Black Thunder ride, and pool bar with music, gives me great memories of a fun water themed day out. A good list of things to do in Kusadasi should always mention beaches because the region has quite a few decent ones. Just a short bus ride from the city centre is Ladies Beach, the most famous for tourist and holidaymakers. Two urban myths surround its name; the first says women used to wait on this beach for their husbands to come home from fishing. The second says in history, women always inherited beach land because it was worthless. Men received land further from the coastline so they could farm it. However, no one foresaw Turkey’s rise and prominent entrance into the international, travel market, which at the same time, made women incredibly wealthy as beaches became popular venues. On the way to the neighbouring region of Selcuk, Kustur Beach, and Tusan Beach can be reached by bus, or in the opposite direction, Long Beach, is a highly popular place receiving top ratings on Trip Advisor. 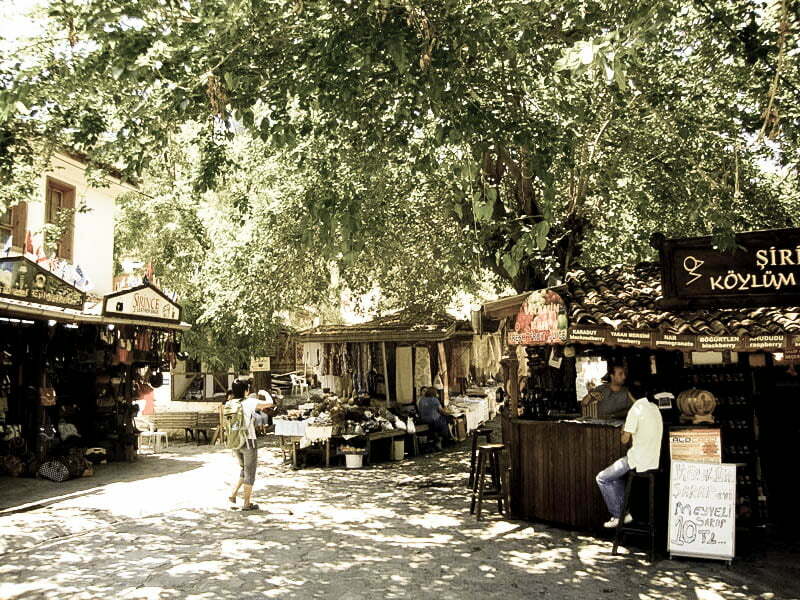 At weekends and during school holidays, Turks love Sevgi Plaj in the Davutlar district. Loads of sand, gorgeous water, fantastic scenery views and picnic areas, make it ideal for a beach day with the family. 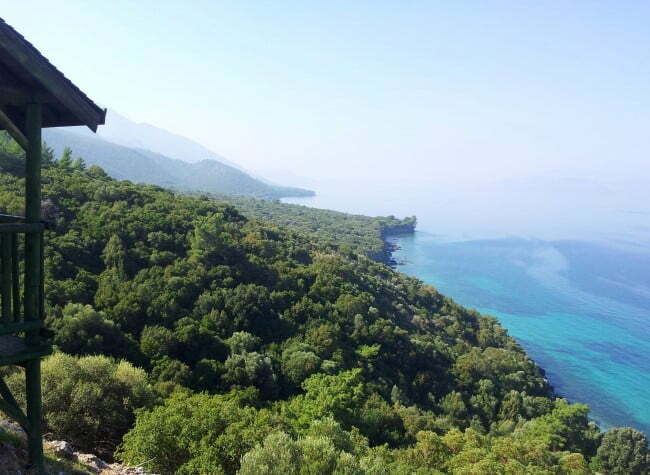 Four beaches, a spectacular coastline, fantastic views of the Aegean Sea and an abundant variety of flora and fauna make up Dilek National Park, just one of Turkey’s many protected conservation areas. On my last visit, I met the park’s resident wild boars and wandered many paths winding in among the forested area. Zeus cave is close to the entrance of Dilek Park. Hidden from view of the pathway, mythology says this is where he hid from his brother Poseidon. The freezing cold water, even in summer is a favorite spot for a swim break. Ideally, you need a car to visit Dilek National Park and Zeus cave, but many jeep safaris sold by local agents also visit it. 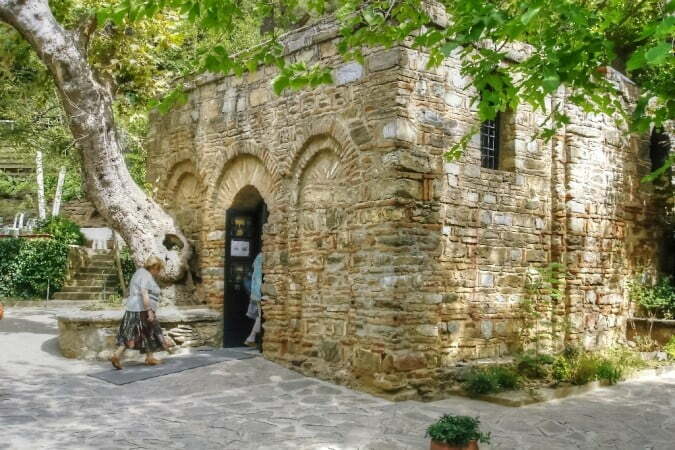 The above suggestions of things to do in Kusadasi involve going places. However don’t forget traditional Turkish activities such as a Turkish shave, tea gardens, Turkish bath and of course food. Turkish food is fantastic, and restaurants in Kusadasi serve plenty of it, therefore providing a tasty insight into one of the top cuisines in the world.